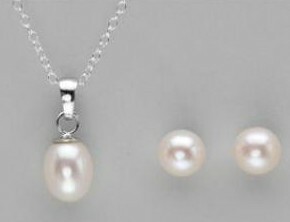 FREE $5 Credit to Modnique = $6 Ladies Freshwater Jewelry Set Designed in Sterling Silver! Reg. $109! If you haven't checked out Modnique yet, now is a great time to do so! All new shoppers get in an instant $5 in free credit which you can use on any of their awesome daily deals. For example, today only you can get a Ladies Freshwater Jewelry Set Designed In Sterling Silver for the amazing price of $6 after using your credit! This regularly costs $109!